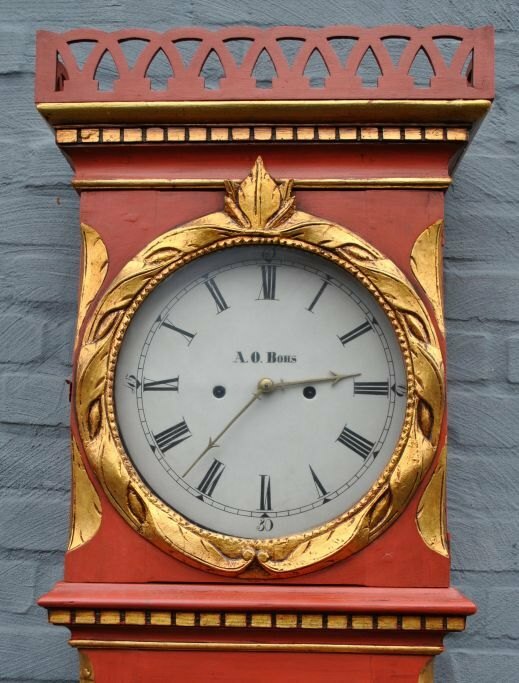 WorldAntique.net - Bornholm longcase clock, Andreas Olsen Boss (1789 - 1853) Rønne, Denmark. Thursday 25 April 2019 06:35 | WorldAntique.net in 2 countries | 69 antique dealers present: 140,864 antiques with photo. 9 conservator, 4 antique fairs, 4 associations. Bornholm longcase clock, Andreas Olsen Boss (1789 - 1853) Rønne, Denmark. Newer painted box with gilding. 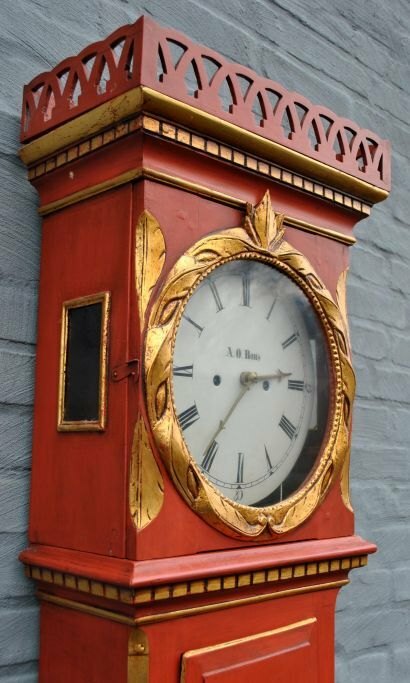 Clockwork with enamel disc with Roman numerals. Signed: AO Bohs. 8-day work with repetition. H.:; 206 cm. D: 20 cm. B: 38.5 cm.